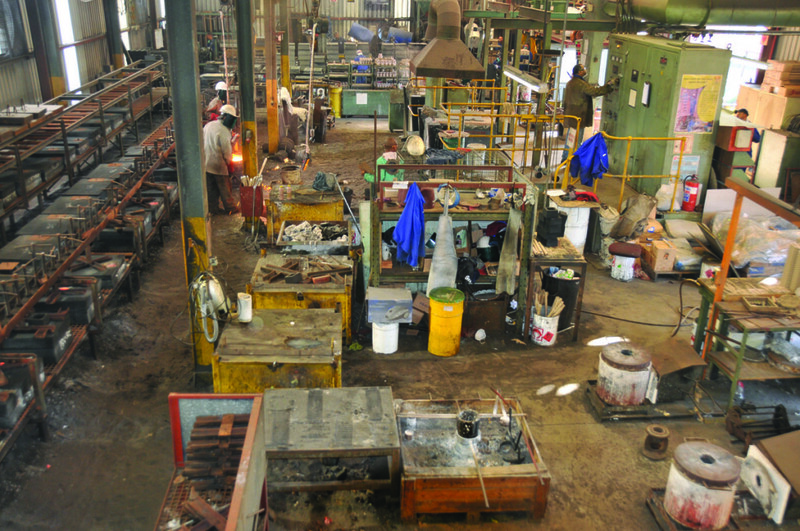 Hudaco Industries Ltd has announced that the company has signed an agreement to acquire 100% of The Dunford Group (DG) from Dunford Holdings Pty Ltd. DG has two main areas of business: machining, repair and sale of hydraulic pumps for the local and export market and production of ferrous and non-ferrous castings for a diversity of industries in South Africa. Hudaco Trading Pty Ltd, 85% owned by Hudaco, will become a 100% shareholder of the four companies constituting DG. In terms of the agreement, the seller is required to purchase a maximum of 927 000 Hudaco shares on the open market, which shares must be retained for a minimum period as follows: a maximum of one-third may be sold after one year, a further one-third after two years and the balance after three years. The consideration, to be settled on the day all suspensive conditions are fulfilled, will be an estimated cash payment of R148.2 million; and an amount of R8 473 for each day between October 1, 2013 and the date of actual payment of the consideration, which is expected to be on or about November 30, 2013, with the maximum consideration payable being R154.3 million. The acquisition is part of JSE-listed Hudaco Industries Ltd’s key strategy to pursue the acquisition of new businesses in similar fields of activity as it focused on selling industrial products – an area of core competency for Hudaco. Hudaco is a South African group of companies specialising in the importation and distribution of selected high quality engineered and security products in the southern African region. One of Hudaco’s key strategies is to apply its strong cash flows to acquire new businesses in similar fields of activity when the opportunity arises. “DG is an ideal fit for Hudaco in that it focuses on selling industrial products, which is an area of core competency for Hudaco. Hudaco will be able to utilise its experience and expertise in those markets to enhance DG’s position, resulting in long term benefits to shareholders. Furthermore, the GPM brand is owned by the group and therefore can be sold in world markets, unlike the Hudaco products which are restricted to Southern Africa by agency agreements,” Hudaco said in a statement. The group sources from more than 1 500 suppliers located in all parts of the industrialised world. It supplies 20 000 customers through over 100 physical locations, mainly in South and southern Africa, and carries 250 000 line items in stock. The transaction is subject to the following conditions, which are required to be fulfilled by 29 December 2013 at the latest: such approvals as may be required in terms of the Competition Act of 1998, as amended; the conclusion of a due diligence investigation, the outcome of which satisfies the board of directors of Hudaco; written confirmation from an independent expert acceptable to the JSE that the terms of the Transaction with the related party are fair as far as the shareholders of Hudaco are concerned; approval from the major suppliers of DG to continue supply on the same terms and conditions as in the past; the signing of new lease agreements relating to the properties from which DG operates upon acceptable terms and conditions at market related rentals and any other approvals required by the JSE. Graham Dunford, an executive director of Hudaco, is a 60% shareholder of The Dunford Group and the remaining shares are held by Tommy Dunford, the CEO of DG. Tommy Dunford will enter into a service contract for a minimum period of three years and a restraint of trade agreement in favour of Hudaco for a period of three years after employment ceases. Graham Dunford will enter into a similar restraint agreement.